Experience the Age of Giants! Can you imagine what the Earth looked like a hundred million years ago? At a time when none of the continents yet looked the way we know them today? Back then, the dinosaurs ruled the land, the sea and the air. We bring that time back to life for you again. 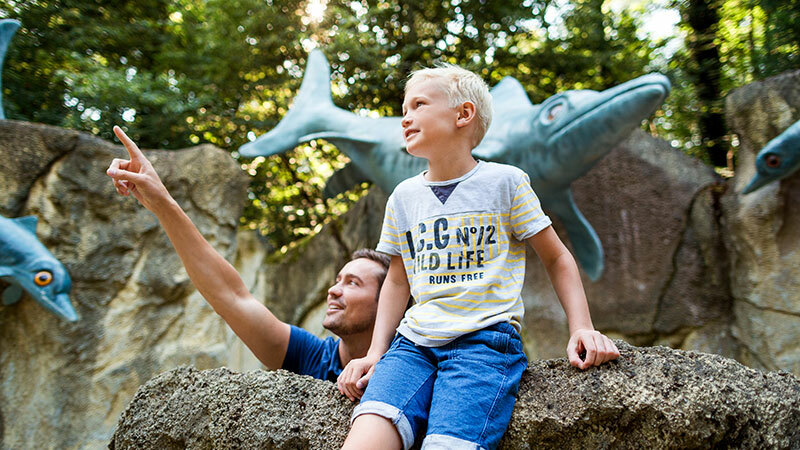 Our adventure park takes you on an eventful journey through the Age of the Dinosaurs, from their beginnings in the Permian period to the marine world of Jurassic times then on to the prehistoric giants’ extinction at the end of the Cretaceous period. 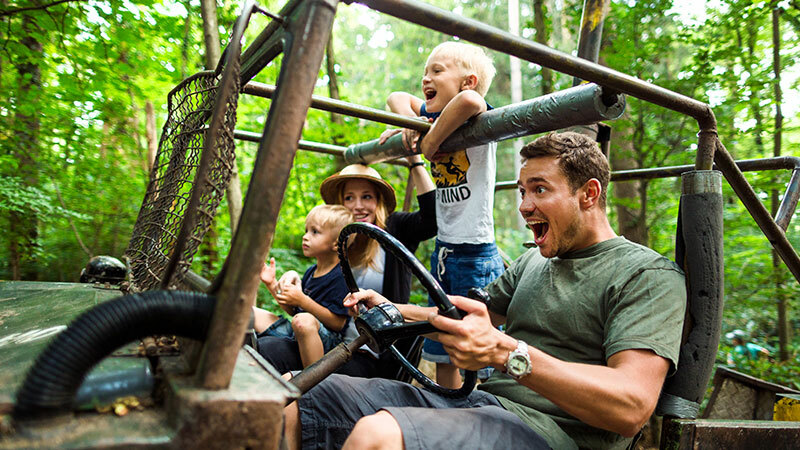 The park is not just a dream come true for dinosaur lovers: entertaining attractions and exciting play areas inspire you to climb, slide, splash and explore. 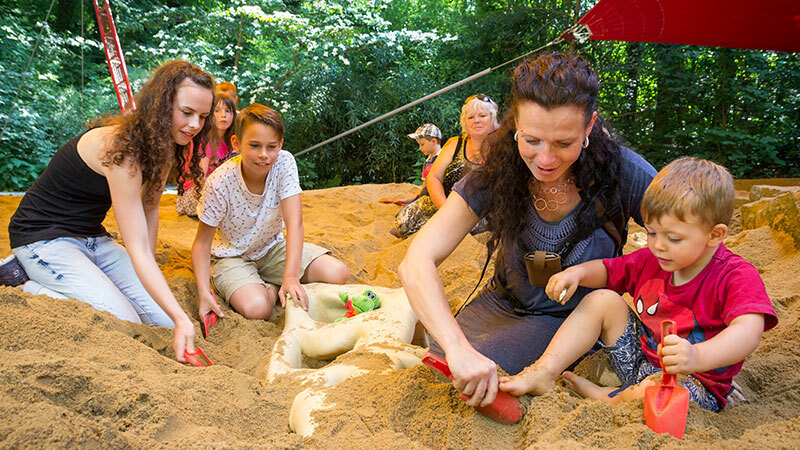 We look forward to making your visit a thrilling, educational and unforgettable experience full of fun and action. 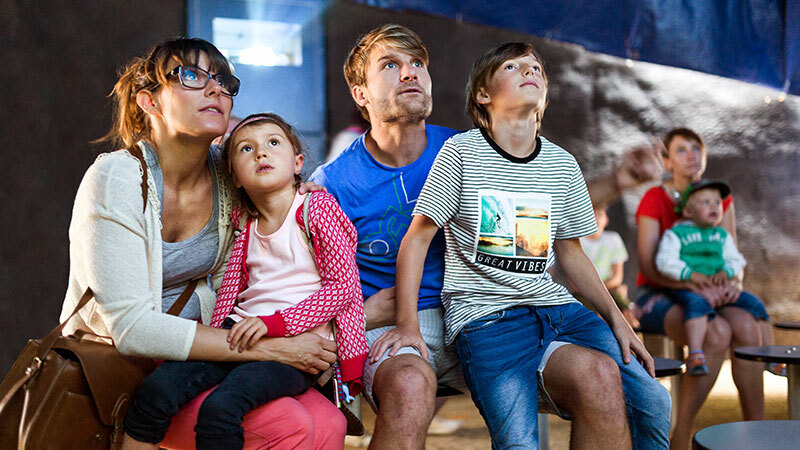 Our Underwater World also includes the Dinorama, where entertaining, informative films get viewers in the mood to find out about the lives of the giant primeval lizards. Underwater World: enter the world of the swimming dinosaurs of the Jurassic period. 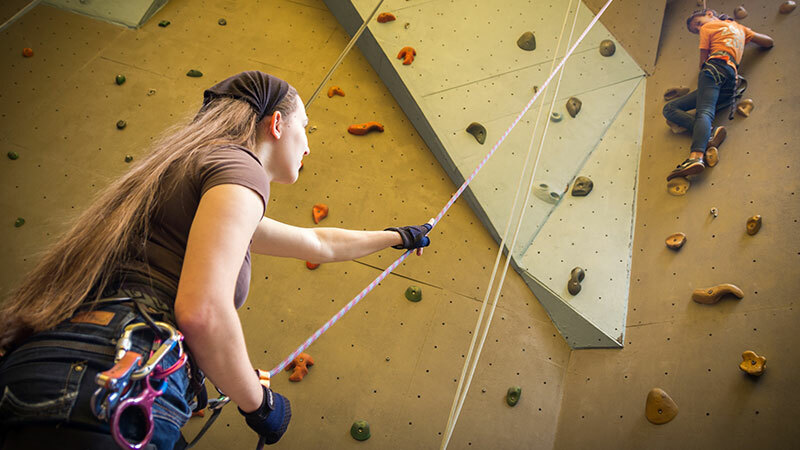 Really daring little monkeys can take on the challenge of our 8-metre-high climbing wall! 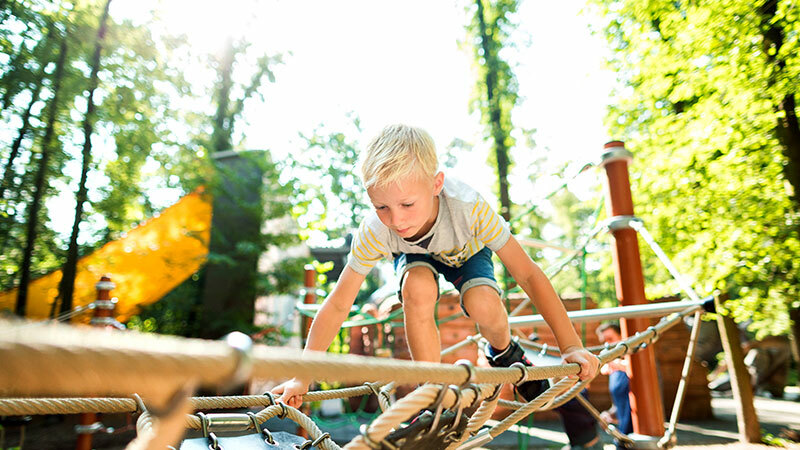 Monkey bars, bouldering and climbing: younger climbing enthusiasts particularly enjoy scaling the jungle vines (low ropes course) and climbing on the rocks (bouldering wall): a tough agility test! 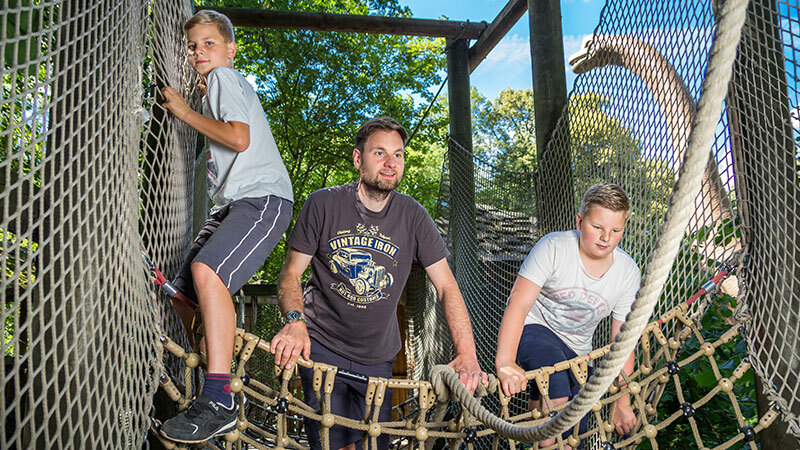 Huge Climbing Zone: Aim for the sky on swinging ropes and swaying nets to look the giant Brachiosaurus right in the eye! Whiz back down to earth on the giant tree slide. Right next-door they can design and make dinosaur models. 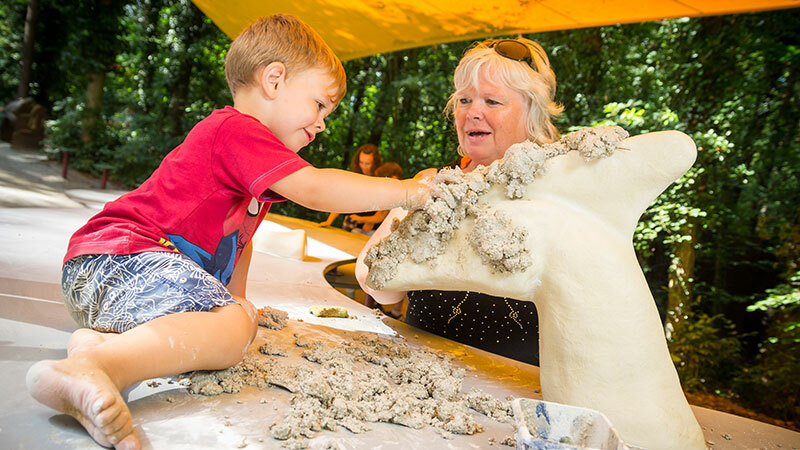 At the Research Camp, a buried dinosaur fossil is ready to be excavated by palaeontologists of any age. 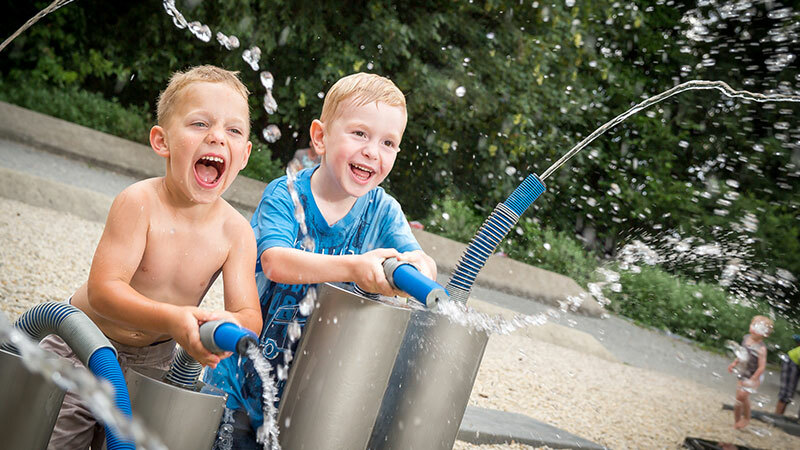 Galactic Nebula: on hot summer days, a variety of fountains, water activities and a huge geyser come as a particularly welcome refreshment and entice our guests to splash and play. 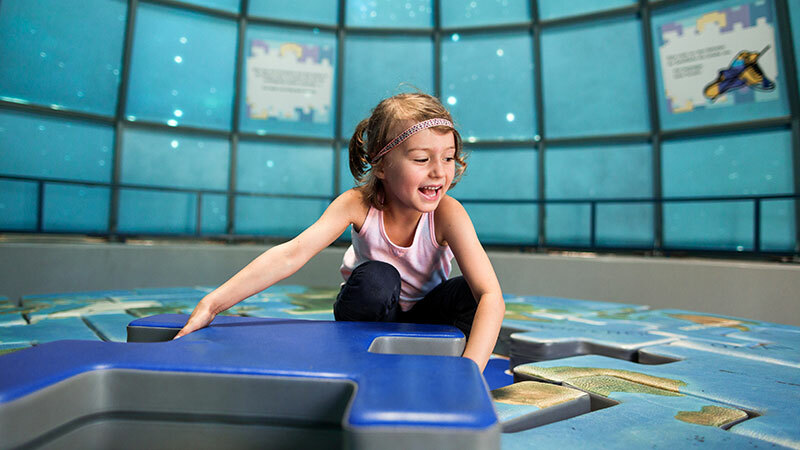 Learn through play: through adventure and games, the Universe attraction asks how the universe all began. The Lost World: investigate the abandoned research station up close in a multisensory experience.